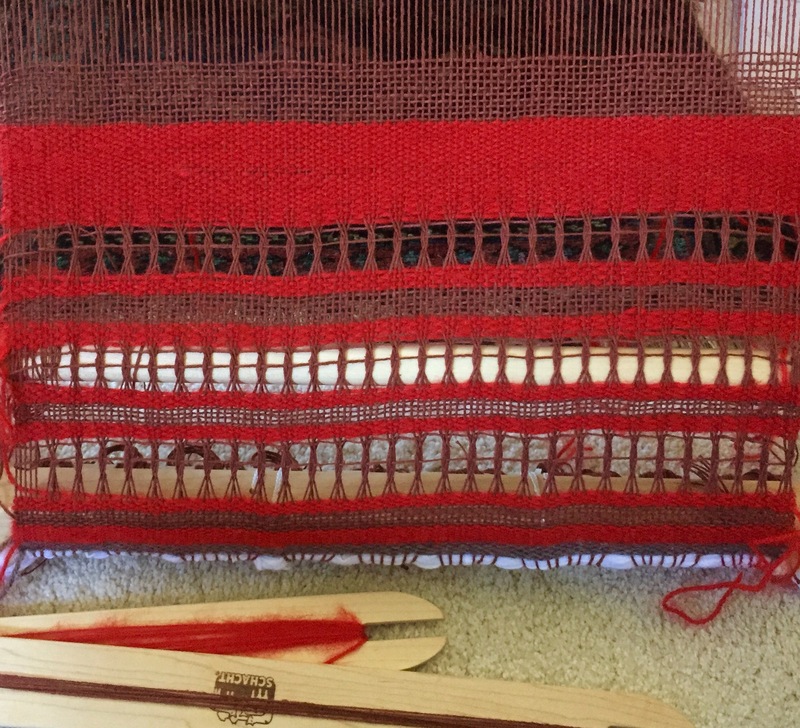 Yesterday evening I took a piece off my rigid heddle loom I’d started weeks ago. September 1st, I think. I used a yummy mohair yarn and what I’m fairly certain is a kind of thick cotton thread. I love autumn-esque colors. 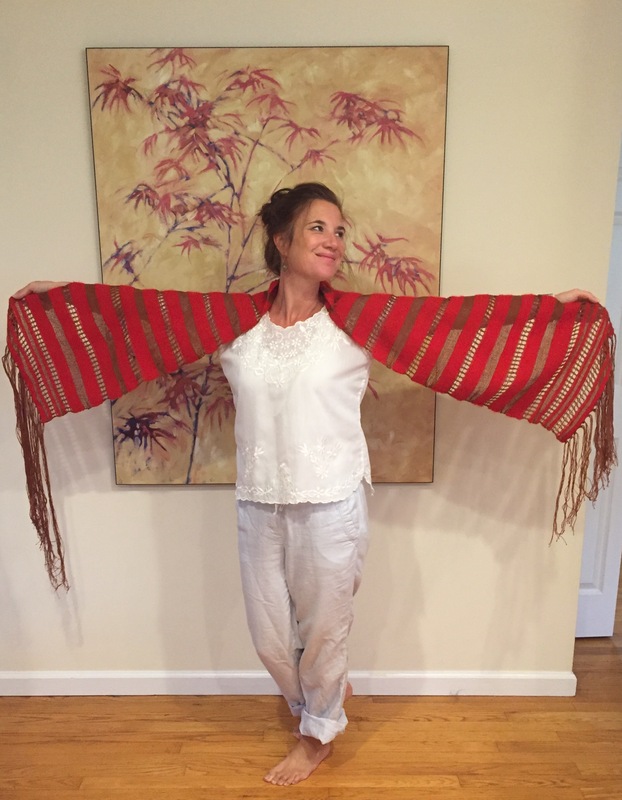 I was going for a shawl that both looks warm and delicate, airy and solid. 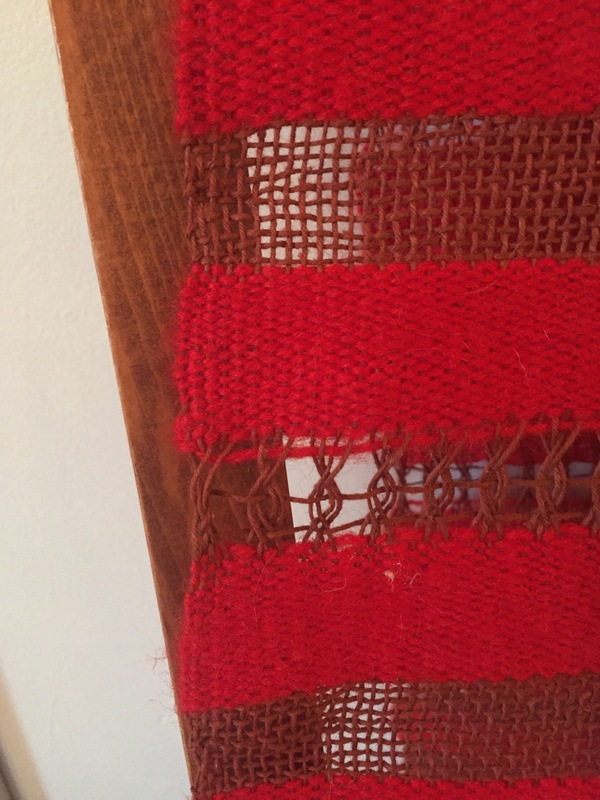 I also wanted to practice a weaving technique called Leno as described in the book, Inventive Weaving on a Little Loom, by Syne Mitchell. 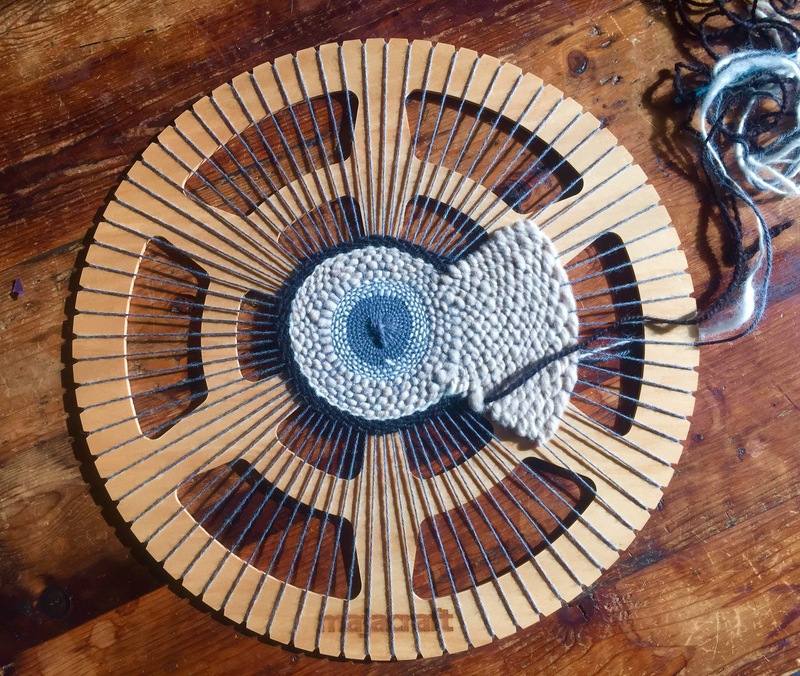 The cotton thread behaved so much differently than the wool yarn. It is much less forgiving and had almost no elasticity. Sometimes the selveges were a catastrophe. 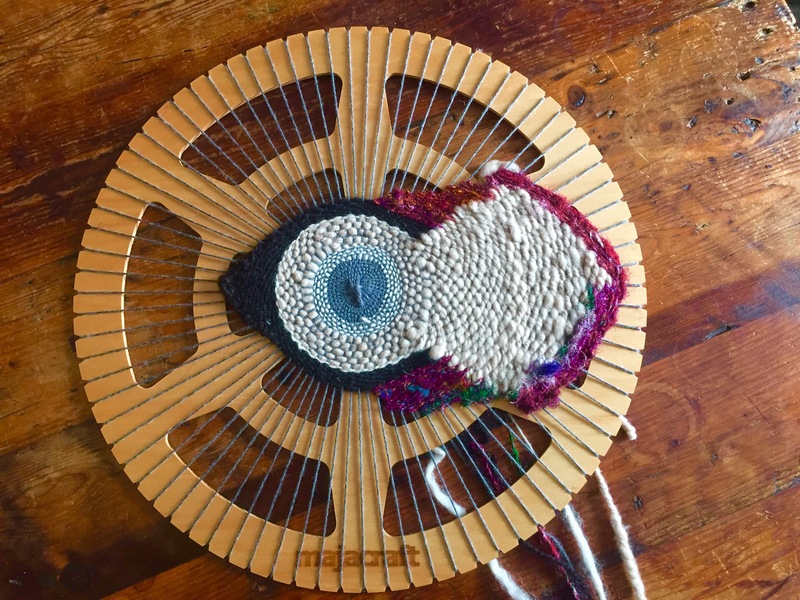 I thought about bailing on the project about halfway through because I was worried it was just a hot mess and I should start over. 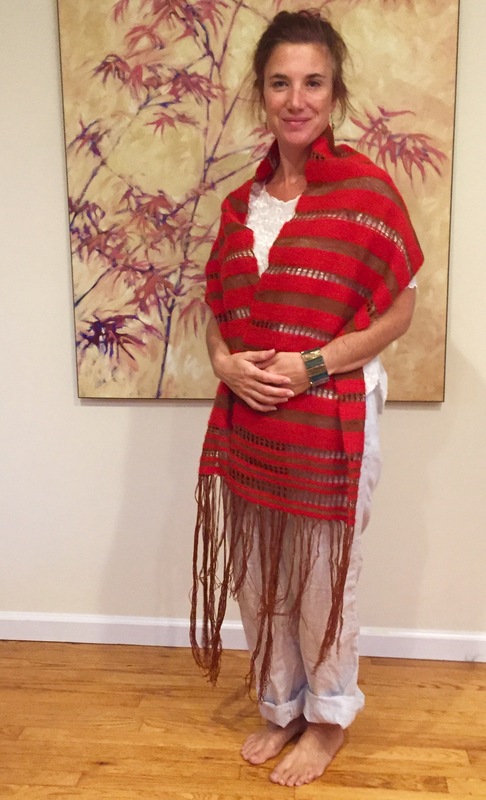 Then I got stubborn and opted to carry on ~ best case scenario, I reasoned, was that I’d love the shawl and want to show it to the world, imperfections and all. Worst case? 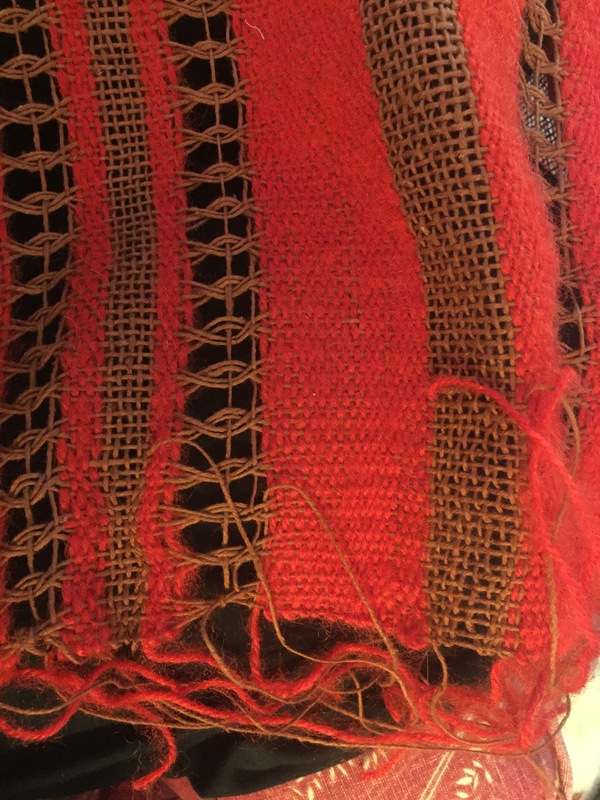 That once off the loom I’d lament wasting hours of my life weaving cloth not fit for mouse bedding. I tried out some things in an effort to minimize loose ends. Oh loose ends! They are part of things, aren’t they? 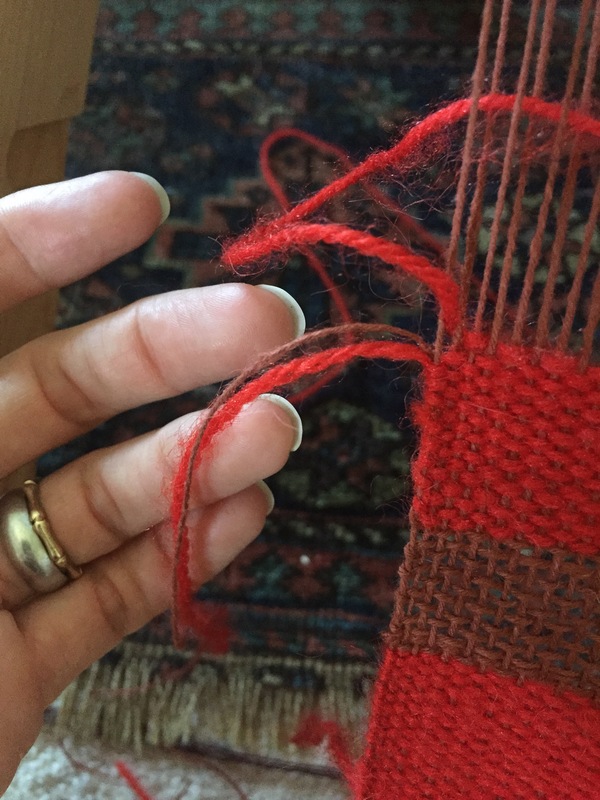 When I had to switch colors (according to my own pattern; I’d arrange the color changes much differently if I were to make this again) I tried securing the loose threads in the loop of the weft as it was going back through the warp. That worked out pretty well. Wish I’d have figured that out sooner! 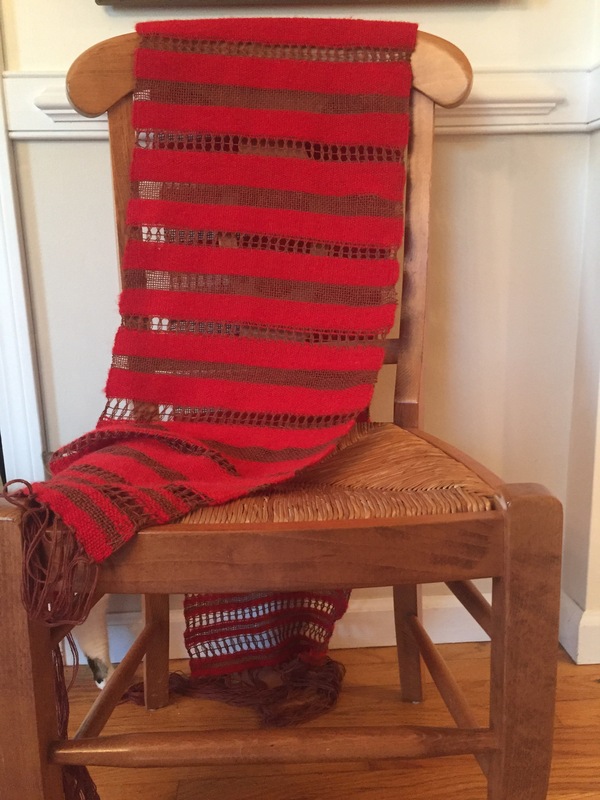 Taking the shawl off the loom was nerve wracking! Not sure why. 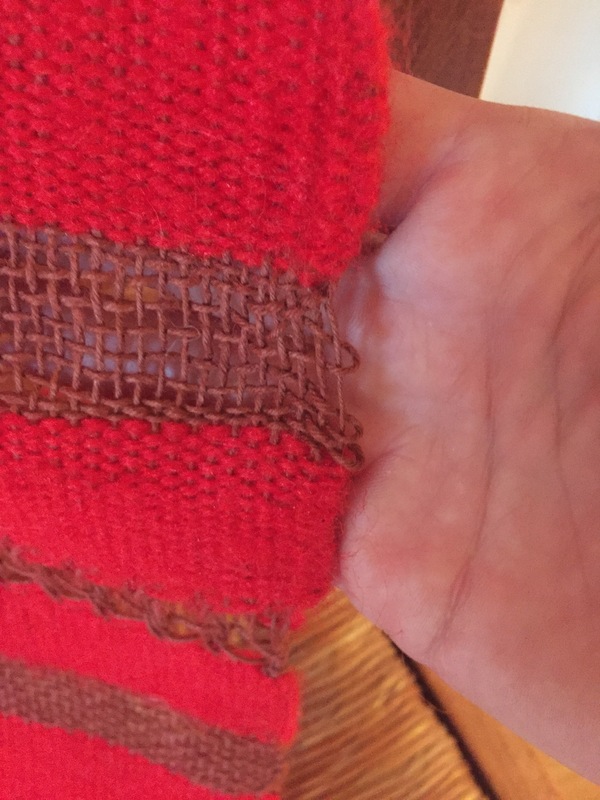 It feels both sturdy and fragile at the same time, and all of the loose ends made me wonder how the hell I’d get them all sewn in without ruining the fabric. There it is all laid out. I stayed up until the wee hours last night sewing all the strands in, those that couldn’t be trimmed as they were. It was so worth it. 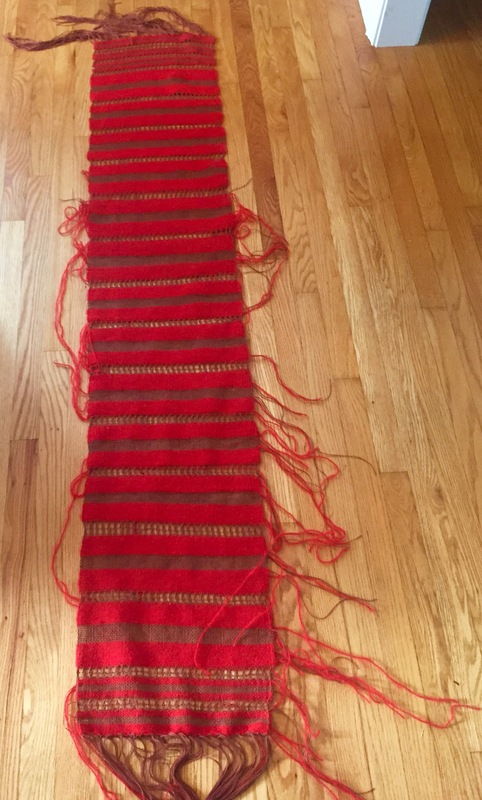 The shawl isn’t blocked yet but here it is. I’m so happy I kept at it. 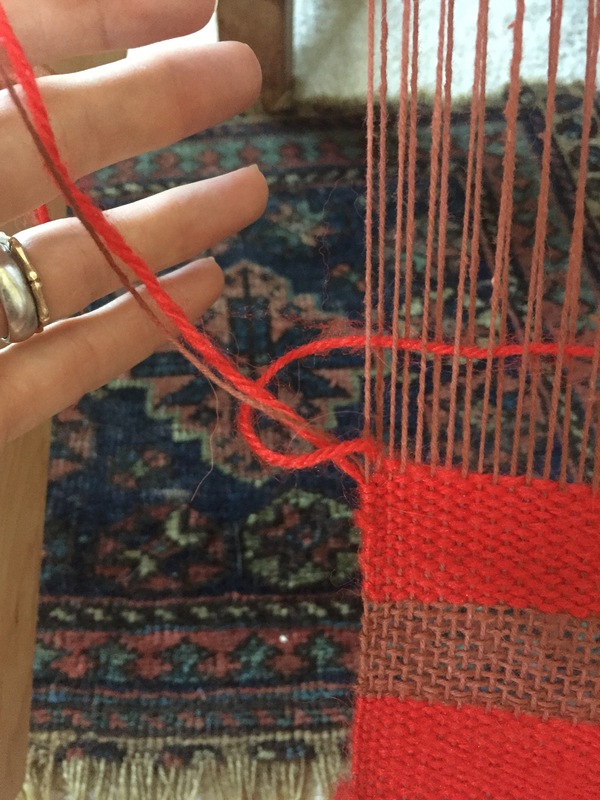 I learned so much about how different threads behave, selveges, the utter importance of a proper tension in all warp threads (obvious I know, but I thought I’d done that and still there were problems throughout. 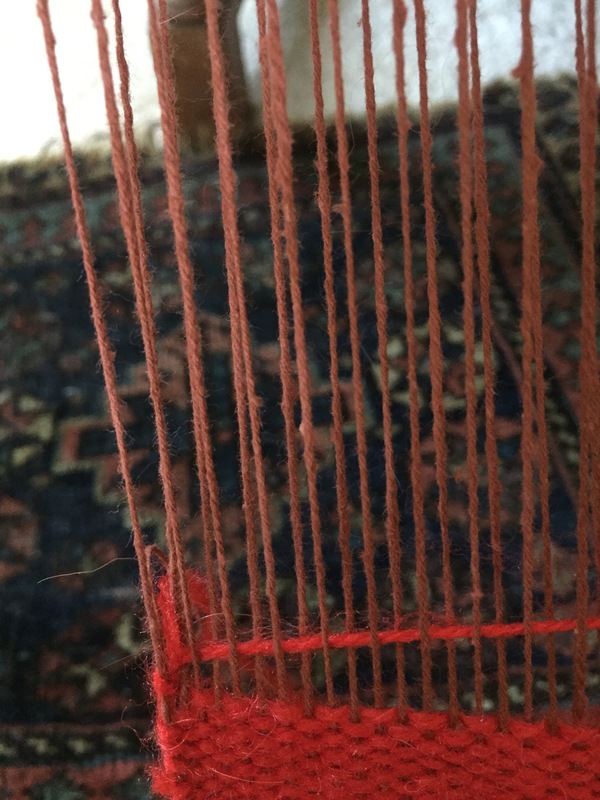 I think I need to make smaller groups of weft threads in the beginning stages). Here’s an up-close view of the general pattern. Here’s some unfortunate selvege proof. And there’s me, still proud as hell of this piece! 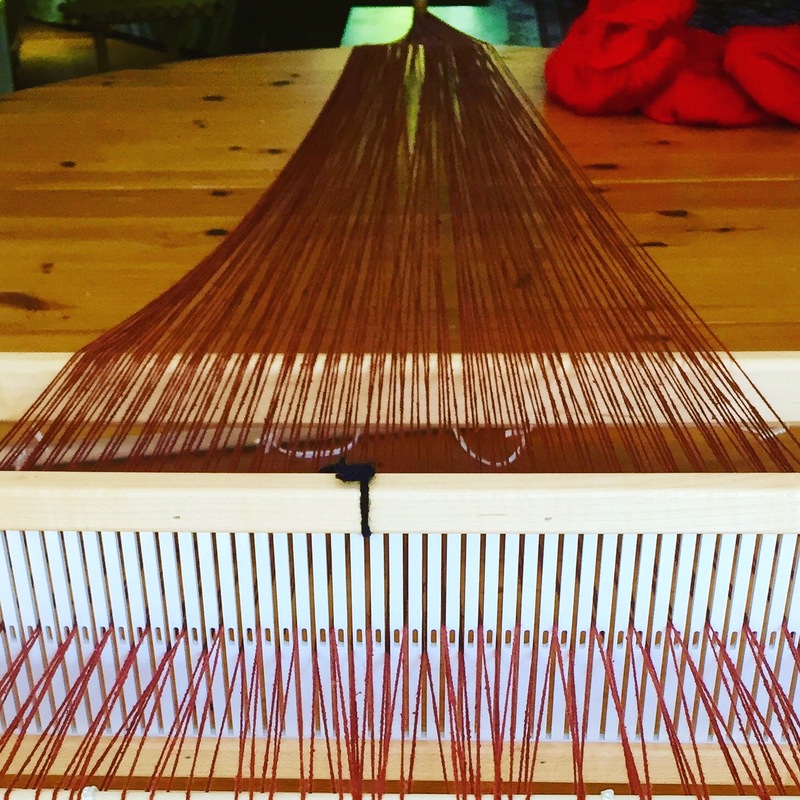 Categories: Handcrafting, What I'm Doing | Tags: creativity, experimenting, fiber art, fiber craft, healing handcrafting, leno, mistakes, patience, rigid heddle loom, shawl, Vermont, warp, weaving | Permalink.